Sweetest little things ❤: I Am Ready For White Sands ! ! After the previous little sneak peak of White Sands, who's ready for more!!! I know I definitely am! Just look at how gorgeous the mall is going to be like. Today I'll be featuring ThaiExpress and also giving you some heads up of what really exciting things you can expect from White Sands in the months to come! Despite the very sinful hour for such a full meal, I am so thankful that Thai Express didn't hold back and so generously served us with all the delicious food! 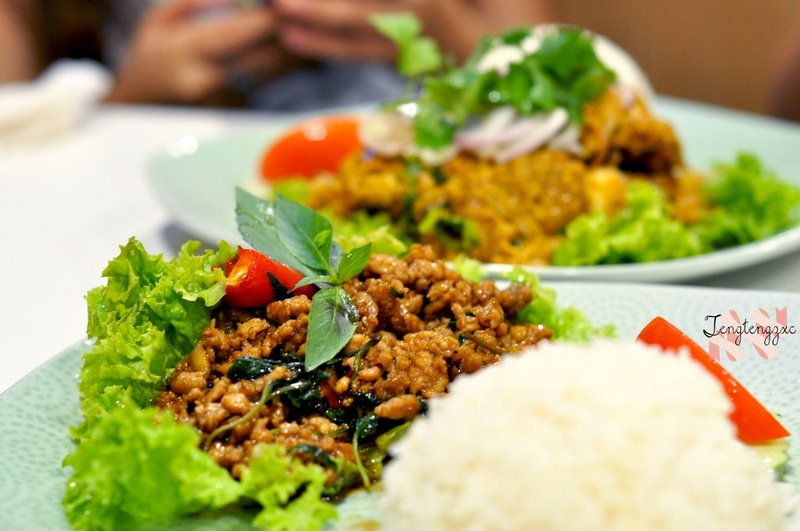 Now i know that Thai Express isn't most people's choice for authentic thai food but we can't deny that they are one of the best thai chain restaurants we have in Singapore. With the large variation offered and super pocket friendly prices, there's definitely something that's able to satisfy everyone's preferences. 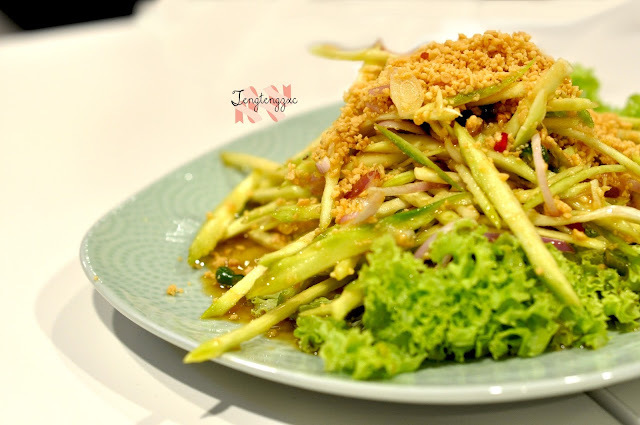 First up for us was Yam Mamuang (Thai Mango Salad) - $8.90. 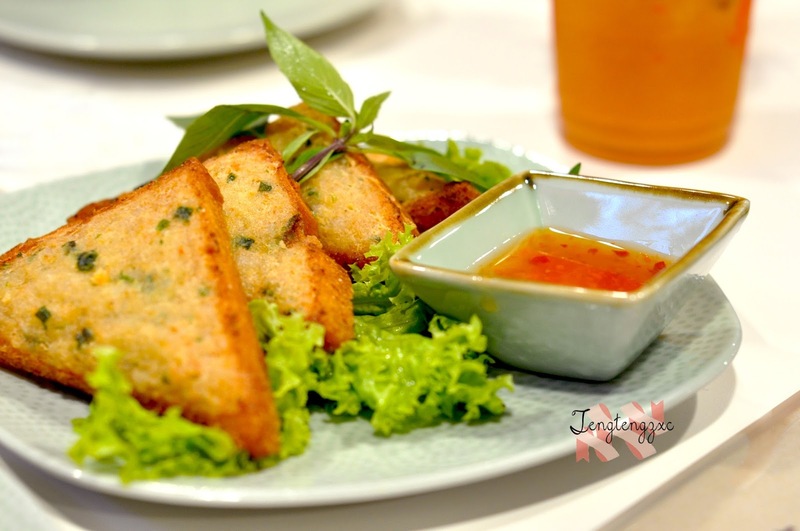 A dish that I try to have whenever i dine in a thai restaurant because i simply love the burst of flavours combined. The freshness and tanginess of this is definitely an appetite booster. Okay, was i living under a rock or something previously because how can i not have known about this previously?! 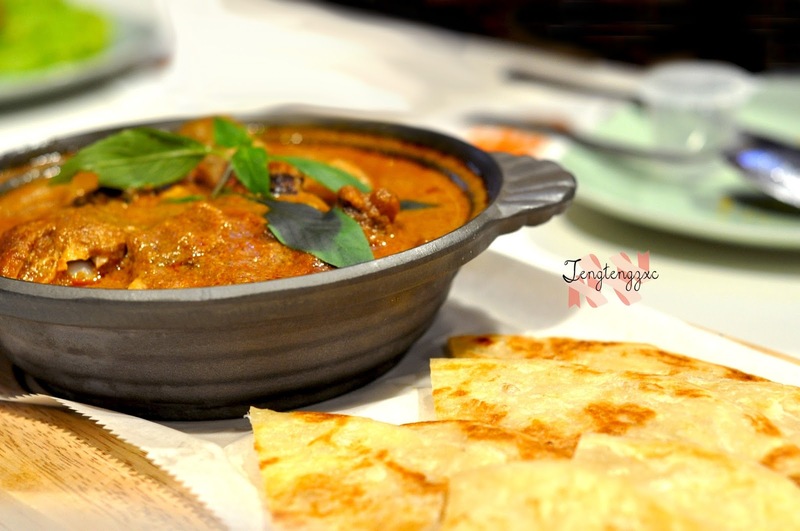 Here's introducing to you a very flavourful and satisfying dish that Thai Express highly recommends; the Massaman Chicken Curry with Thai Style Pancakes - $13.90. With more than 20 ingredients used and cooking time of 12 hours, it's no surprise why this dish was voted No. 1 by CNN. Other mains that cannot be missed out will definitely have to be the Khao Gai Phat Krapow (Rice with Stir-fried Spicy Minced Chicken with Thai Basil) - $12.90 which is an all time favourite and the Poo Phat Pong Kari (Rice with Soft Shell Crab, Egg and Onion Curry) - $12.90. How highly raved is this? Let's just say that the bloggers were literally having a fastest eater moment for this. Slightly slower and you'll probably not have any left. A meal is never complete without desserts for me so dearest Thai Express, thank God for you for ending my meal of the day so so nicely. 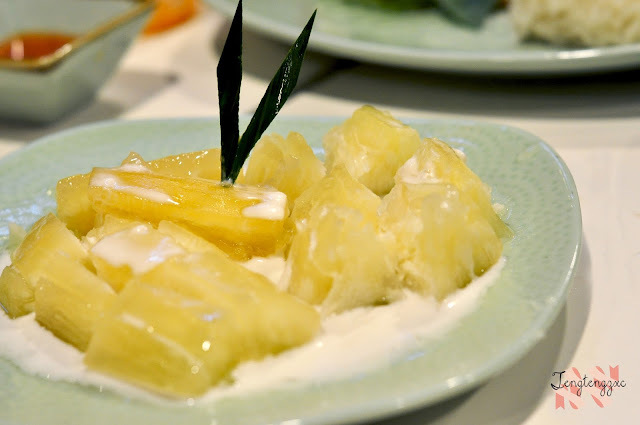 We were first served with Man Cheam (Steam Sweet Tapioca with Coconut Milk). I'm not usually a fan of hot desserts but yet I found myself reaching out for it whenever my mouth was itching for something. Haha. thai palm sugar, rich coconut milk, chewy flour bits topped with slices of jackfruit. 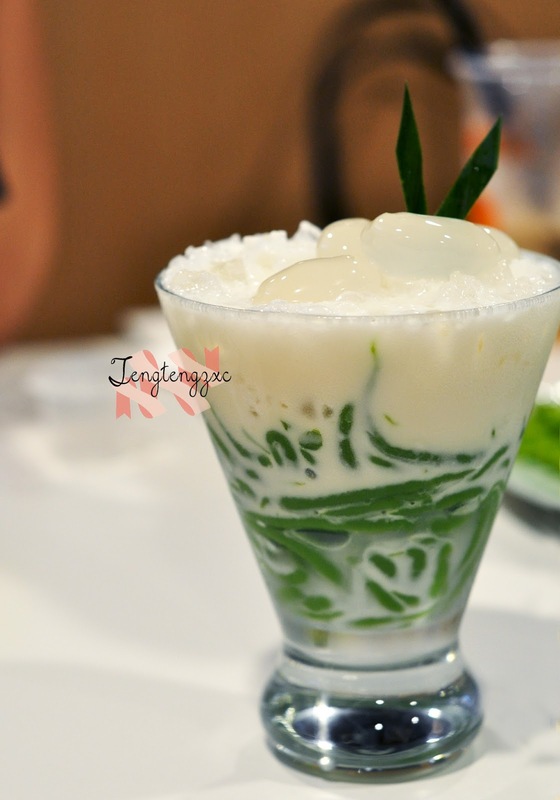 Do you know that their chendol slices are freshly hand squeezed from pandan? I am really amazed by the amount of effort that they put in! 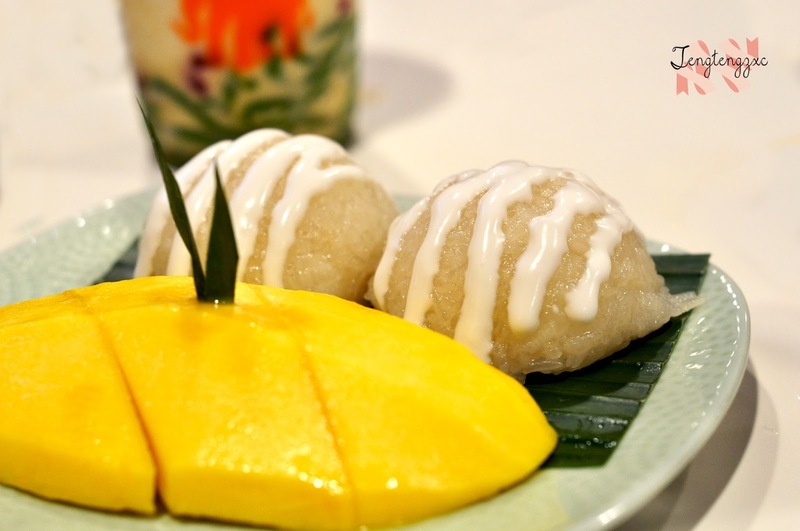 The ever famous Glutinous Sticky Rice with Mango and Coconut Milk. 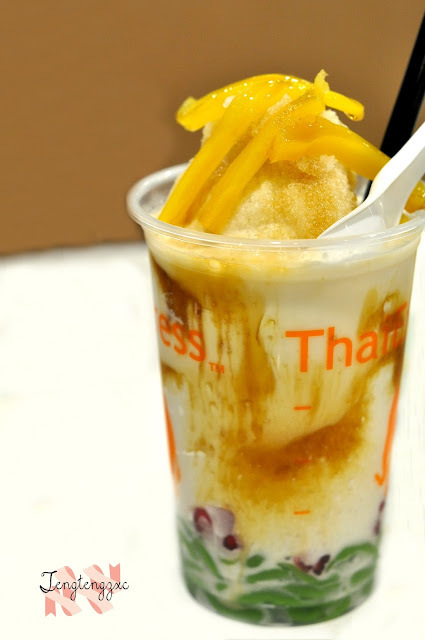 At only $6.80, this is choice worth considering to get that fix for them Thai desserts! Now don't go running off for some yet because there's more interesting things I've yet to share! 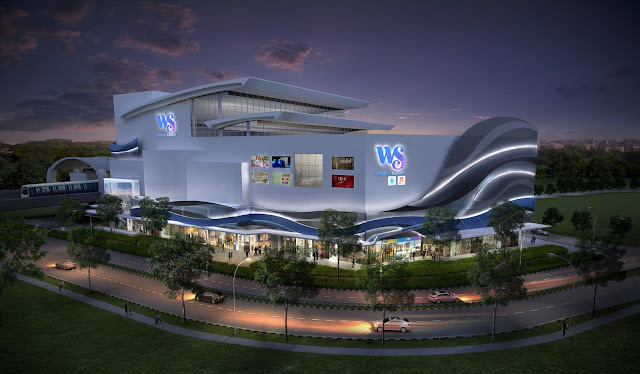 As mentioned earlier and in my previous post, White Sands is coming up with tons of activities that we can definitely look forward to in the near future. It doesn't matter if you're a blogshop owner, baker, carouseller, or just someone with a bursting closet looking for a change of wardrobe, mark these dates down cause this one's for you! 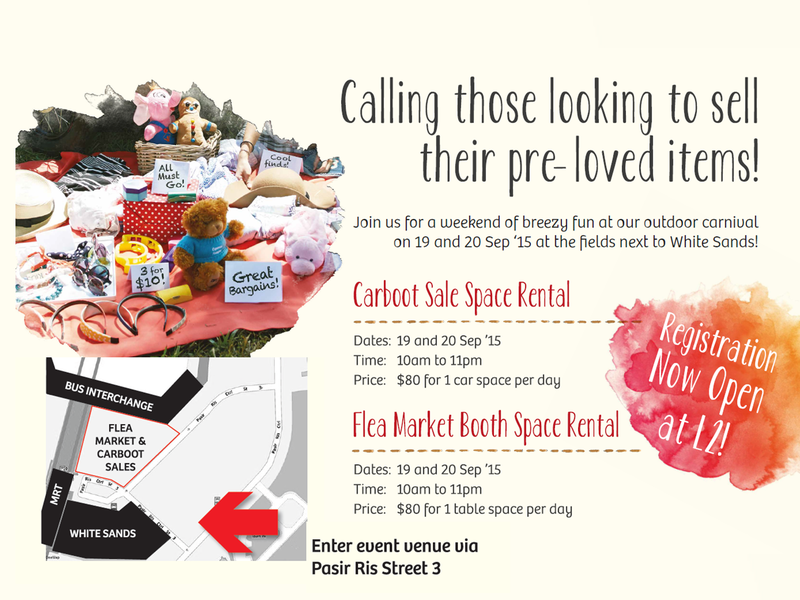 No need to travel all the way down to town over that weekend because the flea market is coming to you! If you're thinking of renting a space, CLICK HERE to find out more! If shopping isn't your thing, no fret cause White Sands have got you covered as well. 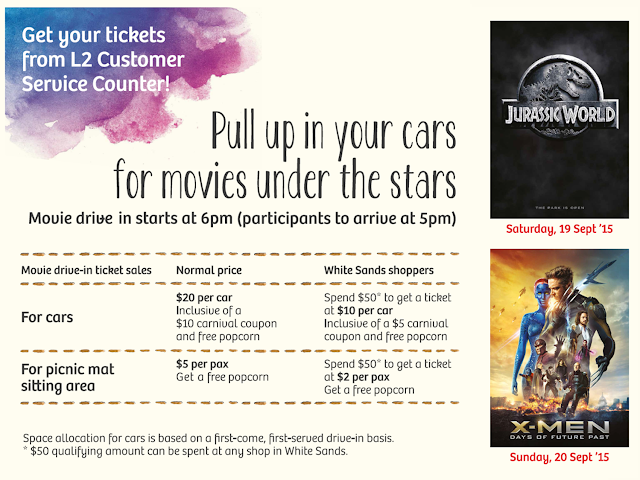 For more information, check out the poster below or CLICK HERE! Pretty cool and it's such a new concept ain't it?! Curious about what else White Sands have to offer? You can easily keep yourself updated with all these upcoming engaging activities by checking their website or their social medias!